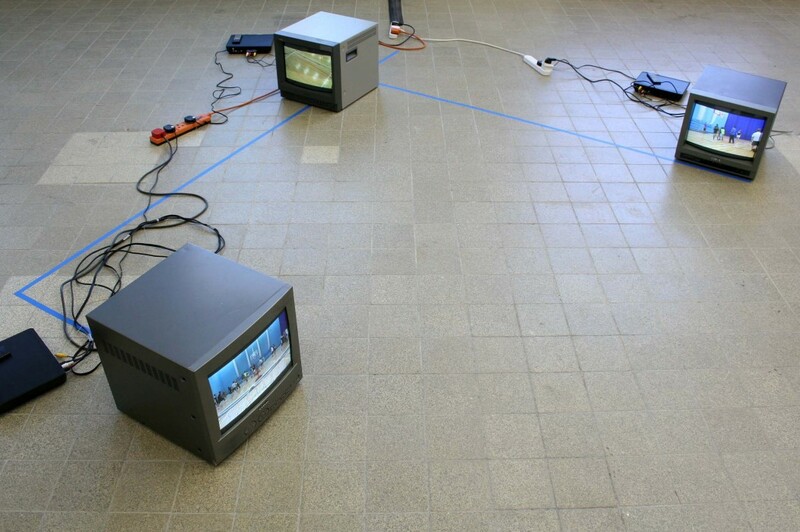 Materials: TV monitors, DVD players, assorted leads, coloured tape. Moving Imagery: 1 minute loops. View Rogue Game showreel on Vimeo. 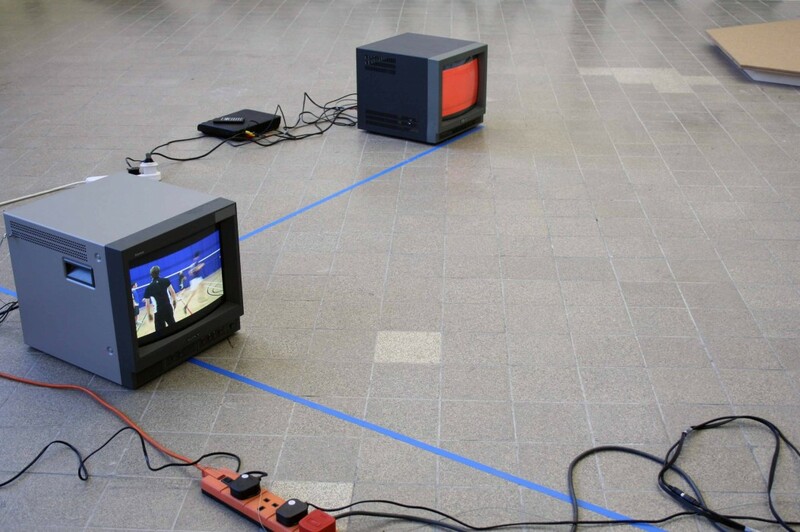 The installation replays three continual loops of footage from Rogue Game, First Play which have been interrupted with frames of pure colour. These short edited sequences repeatedly show moments of negotiation, collision and improvisation by the players. 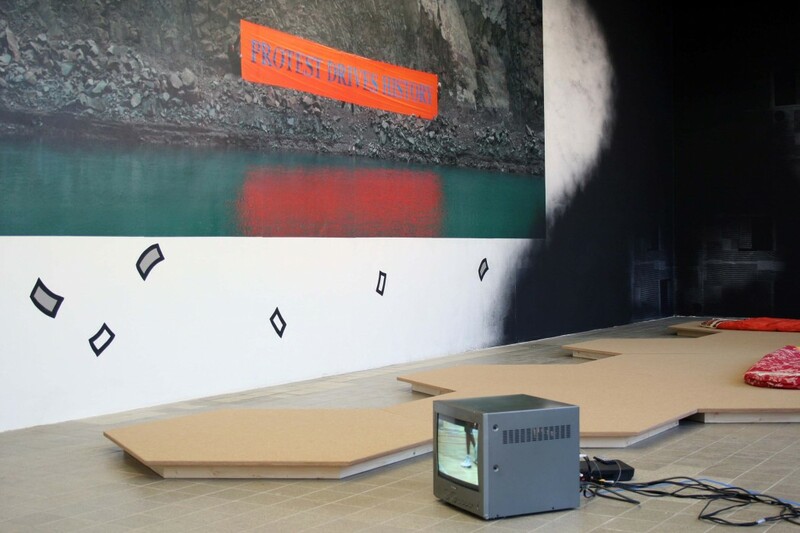 The monitors are configured in relation to tape markings positioned in relation to the spaces of their exhibition. Smart Project Space, Amsterdam, 2009.